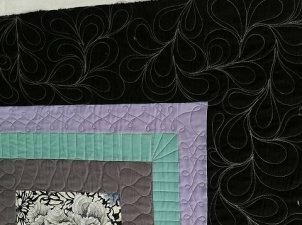 Quilter’s Square is committed to providing sewing enthusiasts with an extensive variety of designer fabrics, notions, books, and patterns, as well as high quality embroidery threads, stencils, and smocking supplies. 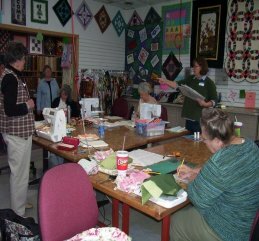 As Kentucky’s largest and oldest BERNINA dealer, we offer competitive prices on a full line of sewing, embroidery, and serger machines, along with providing a wide range of sewing classes and clubs for stitchers of all ages, styles and skill levels. We offer a personal shopping experience that is unlike any other. We will assist you in color matching, figuring up yardage needed, and anything else you need to get your project finished! Whether you drop by our store location at 3301 Keithshire Way STE 109 in Lexington, or shop with us here online, you can always expect unquestionable product quality, prompt shipping of your orders, ongoing support, and friendly, personalized customer service that can't be beat! As a store we tear our fabrics, instead of rotary cutting but we will cut if requested.